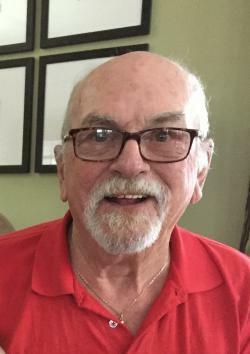 Donald Garfield Sherlock, 77, of Lewis Mountain passed away Friday, March 22, 2019 at the Moncton Hospital. Born in Sault St. Marie, Ontario he was the son of the late Melvin and Patricia (Mooney) Sherlock. Donald enrolled in the Royal Canadian Navy in 1961 as an Airborne Electronic Sensor Operator (AESOp). His career brought him through the unification of the Canadian Armed Forces, and finally ending his career in 1989 in the Royal Canadian Air Force. Don’s travels brought him from Australia to Toronto and many ports in between. He had the honour to fly in the Tracker and the Sea King and to land on ships such as the HMCS Bonaventure, HMCS Saguenay and many more. He served much of his career stationed at CFB Greenwood and CFB Shearwater. His trade may have ended his career in the RCAF, but he was always a SAILOR at heart. Donald was a member of the Royal Canadian Legion Havelock Branch #86. He loved his sports, enjoyed reading and was a great storyteller. He is survived by his wife Marie-Ange Sherlock; daughters Juanita Sherlock, Halifax and Susan Bradet (Yves), Moncton; sons Adam Sherlock (Courtney), Cow Bay, NS, Gene Biddiscombe (Murielle), Moncton, Ken Biddiscombe (Jan), Dartmouth, NS and Scott Biddiscombe (Rose Marie), Dieppe; sisters Sharon and Lee-Anne; brother Derek; several grandchildren, great grandchildren, nieces and nephews. Besides his parents he was predeceased by his brother Gary. The service will be held at the Salisbury Funeral Home, 3350 Route 106 (372-4800) on Tuesday, March 26 at 11 am. In lieu of flowers, donations to the Canadian Cancer Society or a charity of choice would be appreciated by the family.